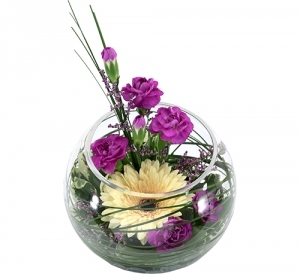 Beautiful dendrobium orchids arranged to suit any occasion. 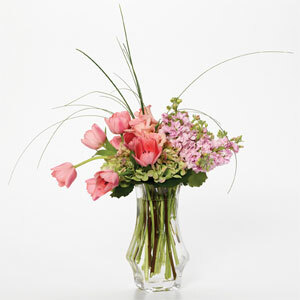 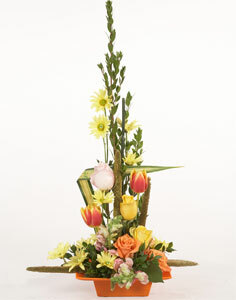 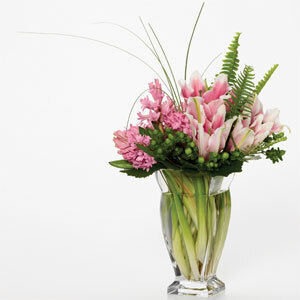 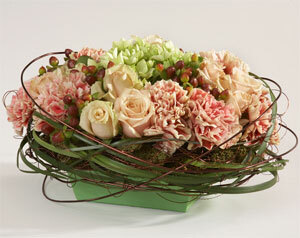 Basket arrangement of gladiolous, carnations and chrisantemums. 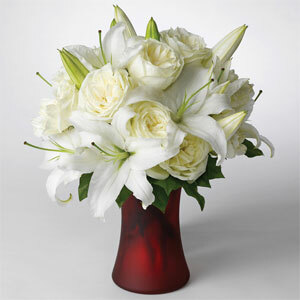 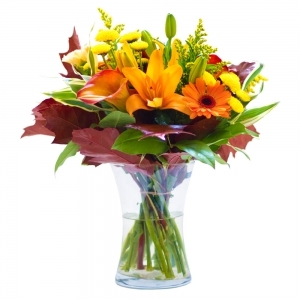 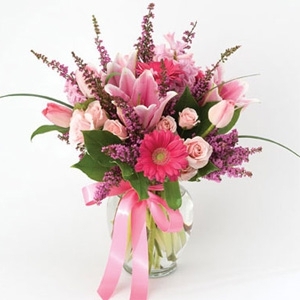 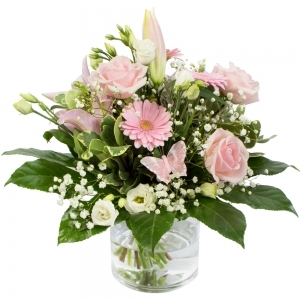 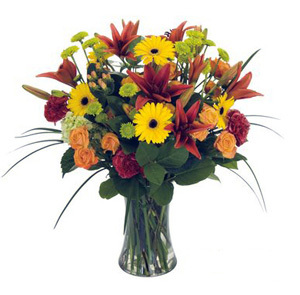 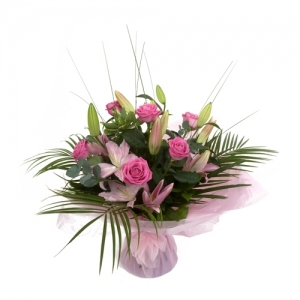 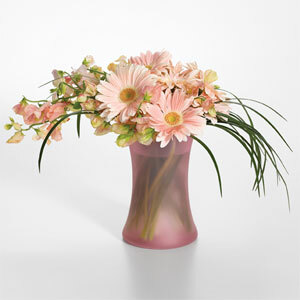 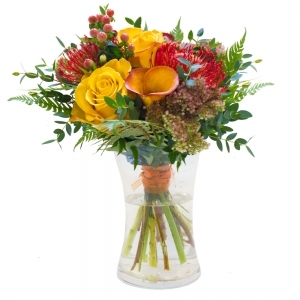 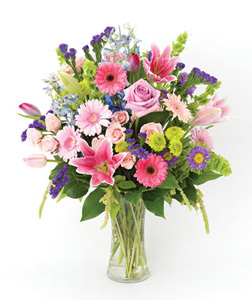 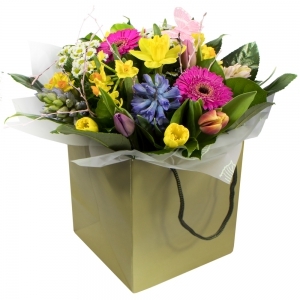 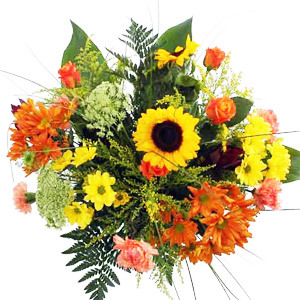 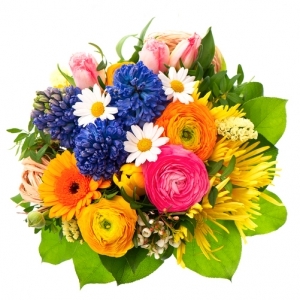 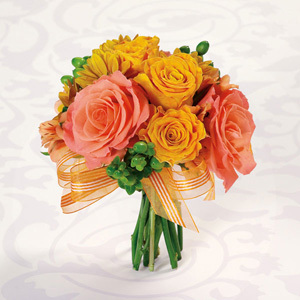 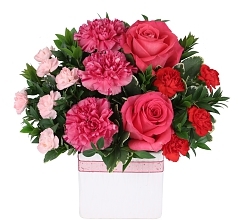 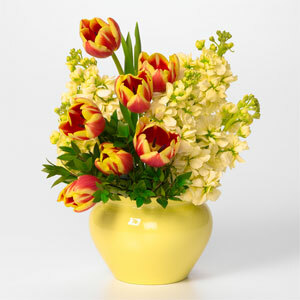 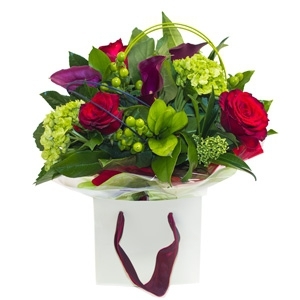 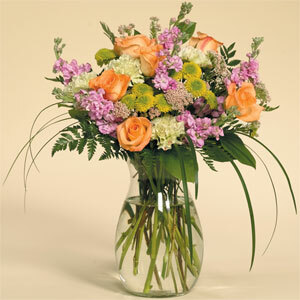 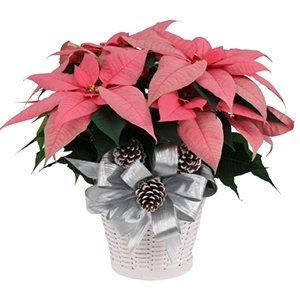 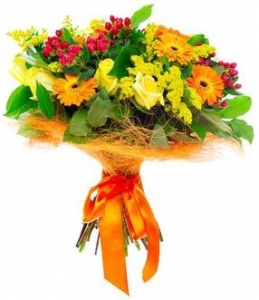 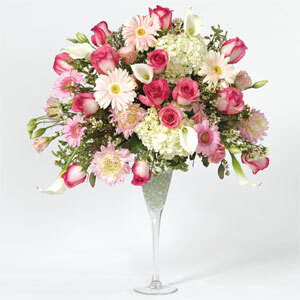 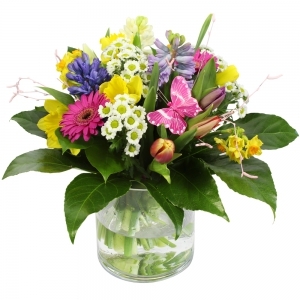 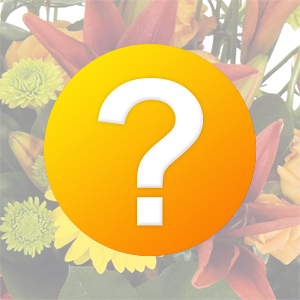 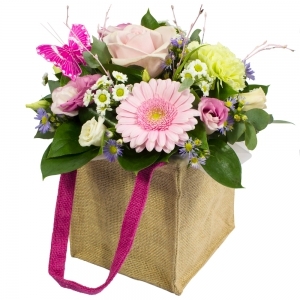 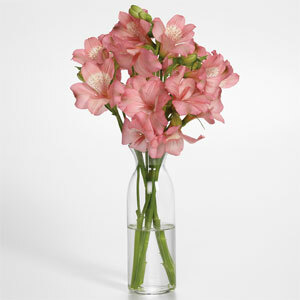 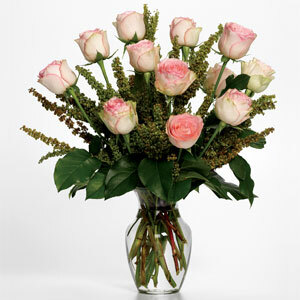 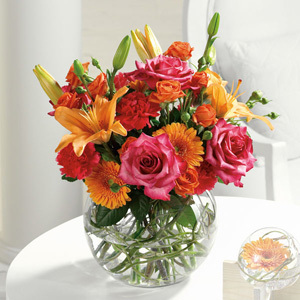 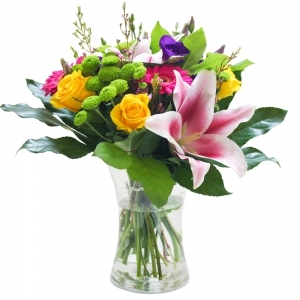 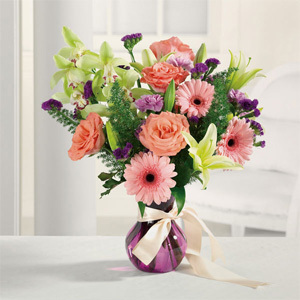 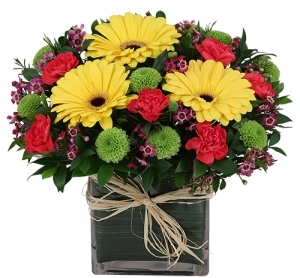 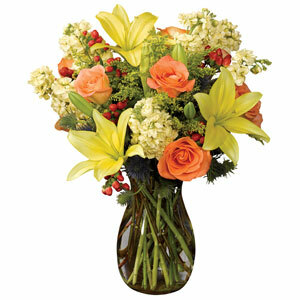 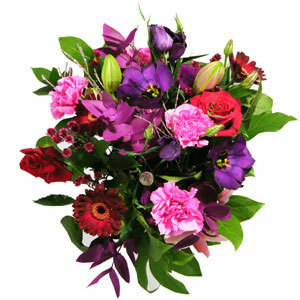 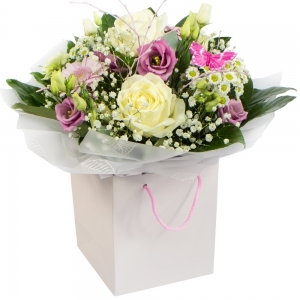 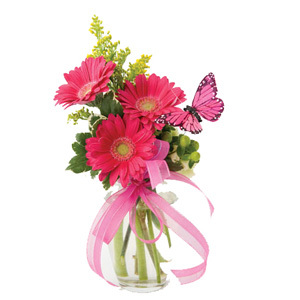 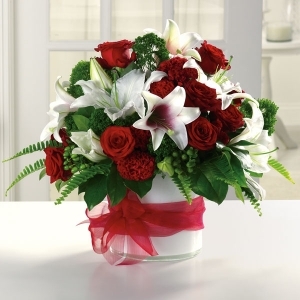 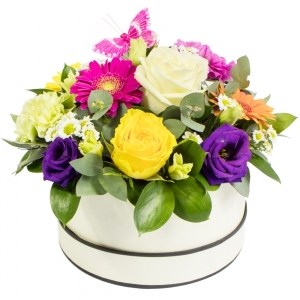 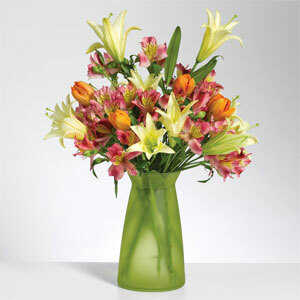 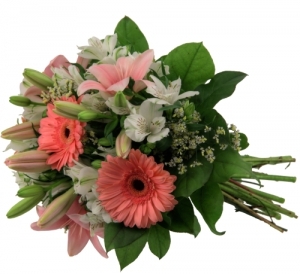 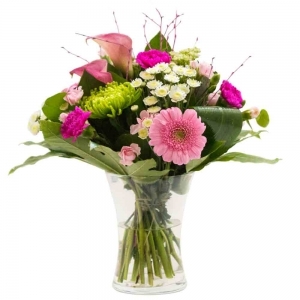 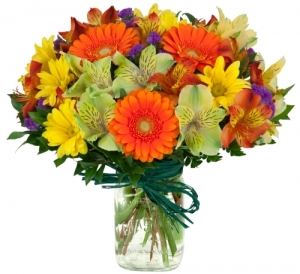 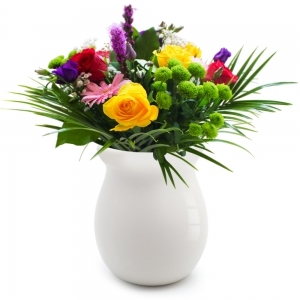 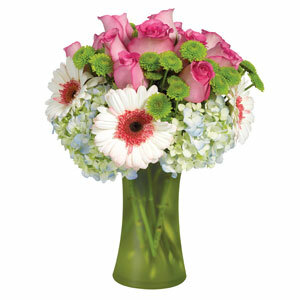 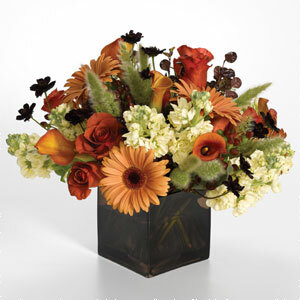 A fresh mixture of seasonal flowers hand picked by your professional florist are tied together and sent to recipient to be placed in their own vase (vase not included). 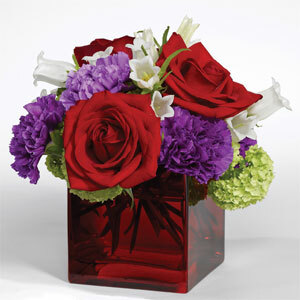 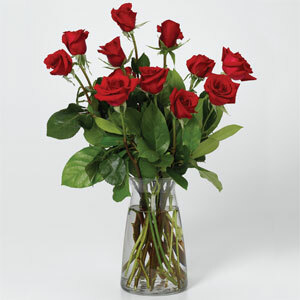 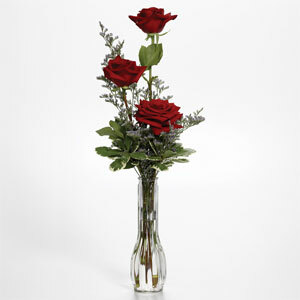 Send beautiful flowers in a replica of a fire truck. 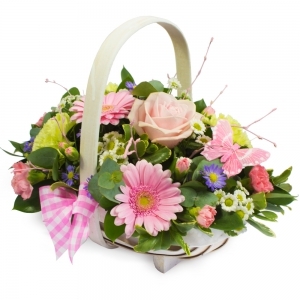 Fresh flowers are arranged in a ceramic duck for a baby girl or a baby boy.